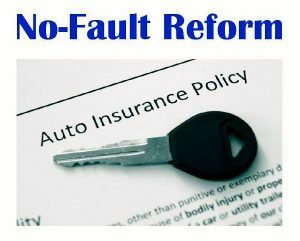 Published in Auto No-Fault Insurance / Auto No-Fault Reform / Coalition Protecting Auto No-Fault / No-Fault Benefits. Lansing, MI — A bipartisan group of state lawmakers recently announced a comprehensive no-fault reform package aimed at improving Michigan’s auto insurance system. The legislation, called the “Fair and Affordable No-Fault Reform Package,” will soon be introduced in the state Legislature. 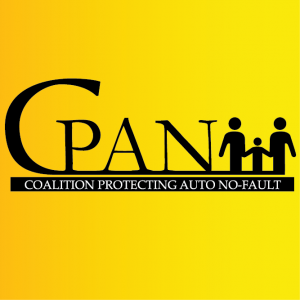 John Cornack, president of the Coalition Protecting Auto No-Fault (CPAN), said the bipartisan legislative package will bring “dramatic and lasting improvements” to Michigan’s auto insurance system for everyone involved. “Whether you are a driver, an accident survivor, a healthcare provider or even an insurance company, there is something to like in this package,” he stated. adopt reasonable fee schedules and attendant-care limits to rein in medical costs related to crash injuries. stop non-driving related factors from unfairly impacting auto insurance rates. bring transparency to the Michigan Catastrophic Claims Association by making its rate-making data available to the public. aggressively tackle fraud and claims-handling abuse by creating a state fraud authority. Legislators announcing the package included Rep. Ben Frederick (R-Owosso), Rep. Donna Lasinski (D-Scio Township), Rep. Joseph Graves (R-Argentine Township), Rep. Sherry Gay-Dagnogo (D-Detroit), Rep. Michael Webber (R-Rochester), Rep. Tim Greimel (D-Auburn Hills), Rep. Pete Lucido (R-Shelby Township) and Rep. Ed Canfield (R-Sebewaing). The first ruling, Admire v Auto Owners, has been used by insurance companies to deny no-fault benefits for legitimate expenses needed by car crash victims, including handicapped-accessible transportation and specialized food. Lawmakers have indicated they will introduce a bill to ensure that accident survivors will have these basic needs met. The second ruling, Covenant Medical Center v State Farm, prevents medical providers from suing insurance companies on behalf of auto accident patients when insurers refuse to pay for medical treatment that has been rendered. The Covenant decision puts patients in the cross-hairs of litigation because medical providers are unable to pursue claims directly against insurance companies on behalf of their patients and, instead, will most likely have to file lawsuits against their patients for unpaid bills. On the heels of announcing the Fair and Affordable No-Fault Reform Package, Detroit Mayor Mike Duggan and Michigan House Speaker Tom Leonard announced another no-fault reform proposal, House Bill 5013. The bill was sponsored by Rep. Lana Theis (R-42nd District). The Michigan House of Representatives failed to pass House Bill 5013 on November 2, 2017, by a 63-45 vote. House Bill 5013 placed caps on insurance coverage and, according to CPAN, would have cost Michigan taxpayers millions in new Medicaid expenses and would leave patients without care, while forcing them into poverty. In a nutshell, the proposal allowed Michigan drivers to purchase auto insurance policies that capped benefits at either $25,000 or $500,000. It also allowed drivers to purchase lifetime injury coverage. However, the reality of the $25,000 option was this: a seriously injured individual’s full recovery would not have been covered because the lifetime PIP cap was $25,000, which would not pay for lengthy rehabilitation and possibly years of care and treatment. What may have been worse was that the $25,000 cap would also include wage loss, replacement services and survivor’s loss benefits. capped family-provided attendant care at 56 hours per week, which applied even if the patient requires 24-hour support. established fee schedules for medical providers. The fee would be set at the Medicare reimbursement rate. allowed those age 62 and older to opt out of PIP coverage and rely solely on Medicare. However, this ignored the fact that Medicare does not cover the long-term care needed by seniors recovering from a catastrophic car accident. created a fraud authority with a board represented by the insurance industry, law enforcement, prosecutors, one member of the general public and one Detroit resident. This authority would not have been subject to the Freedom of Information Act. mandated insurance rate reductions. Consumers who bought the $250,000 plan would have had their PIP premiums cut by 40% and would not have had to pay the $170 per vehicle Michigan Catastrophic Claims Association annual fee. CPAN warned, however, that motorists couldn’t count on these savings because the language of the proposal also let insurance companies make an exception if they could explain why the required rate reductions were not achievable. it gave “more power” to insurance companies, while taking away the legal rights of Michigan auto accident victims. the premium reduction required by the legislation applied only to the premium for PIP benefits — not to the total premium, which, in reality, is comprised of coverages far more costly than the premium for PIP benefits. The CPAN legal team also noted the proposal was similar to legislation that failed several years ago, which also capped coverage. Regarding that failed proposal, a 2011 Public Sector Consultants report found that capping no-fault benefits would result in a cost shift of $30 million to Michigan’s Medicaid system — in the first year alone. Have you been injured in a Michigan car accident? The Sinas Dramis legal team is available to answer questions about no-fault insurance benefits or a possible auto negligence claim. Contact our Lansing auto accident lawyers and Grand Rapids car accident attorneys today for a free initial consultation.